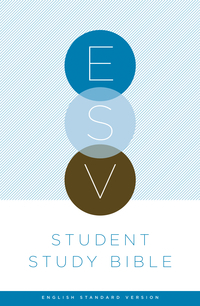 There are two main reasons for choosing the ESV translation: clarity and accuracy. However, if you would like more details as to why someone should choose the ESV Kevin DeYoung provides seven reasons why we should use the ESV translation. A generation stands on the brink of a “rebelution.” A growing movement of young people is rebelling against the low expectations of today’s culture by choosing to “do hard things” for the glory of God. And Alex and Brett Harris are leading the charge. Published early in the reign of Queen Elizabeth I, of England, only five years after the death of the Roman Catholic Queen Mary, the work is an affirmation of the Protestant Reformation in England during the ongoing period of religious conflict between Catholics and Protestants. Since the English monarchs also asserted control over the Church in England, a change in rulers could change the legal status of religious practices. As a consequence, adherents of one religion risked judicial execution by the State depending on the attitudes of the rulers. During Mary’s reign, common people of Christian faith were publicly burned at the stake in an attempt to eliminate dissension from Catholic doctrines. Foxe’s account of Mary’s reign and the martyrdoms that took place during it contributed very significantly to the belief in a distinction from the Roman Catholic Church and the Pope as a central aspect of English national identity. 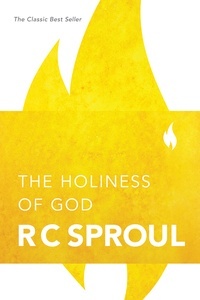 By compiling his record, Foxe intended to demonstrate a historical justification for the foundation of the Church of England as a contemporary embodiment of the true and faithful church, rather than as a newly established Christian denomination. As Adolf Hitler and the Nazis seduced a nation, bullied a continent, and attempted to exterminate the Jews of Europe, a small number of dissidents and saboteurs worked to dismantle the Third Reich from the inside. One of these was Dietrich Bonhoeffer—a pastor and author. 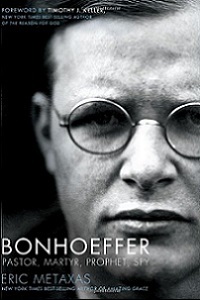 In this New York Times best-selling biography, Eric Metaxas takes both strands of Bonhoeffer’s life—the theologian and the spy—and draws them together to tell a searing story of incredible moral courage in the face of monstrous evil. Metaxas presents the fullest accounting of Bonhoeffer’s heart-wrenching decision to leave the safe haven of America to return to Hitler’s Germany, and sheds new light on Bonhoeffer’s involvement in the famous Valkyrie plot and in “Operation 7,” the effort to smuggle Jews into neutral Switzerland. In a deeply moving narrative, Metaxas uses previously unavailable documents including personal letters, detailed journal entries, and firsthand personal accounts to reveal dimensions of Bonhoeffer’s life and theology never before seen. Finally, he urges you to join in The Radical Experiment–a one-year journey in authentic discipleship that will transform how you live in a world that desperately needs the Good News Jesus came to bring.